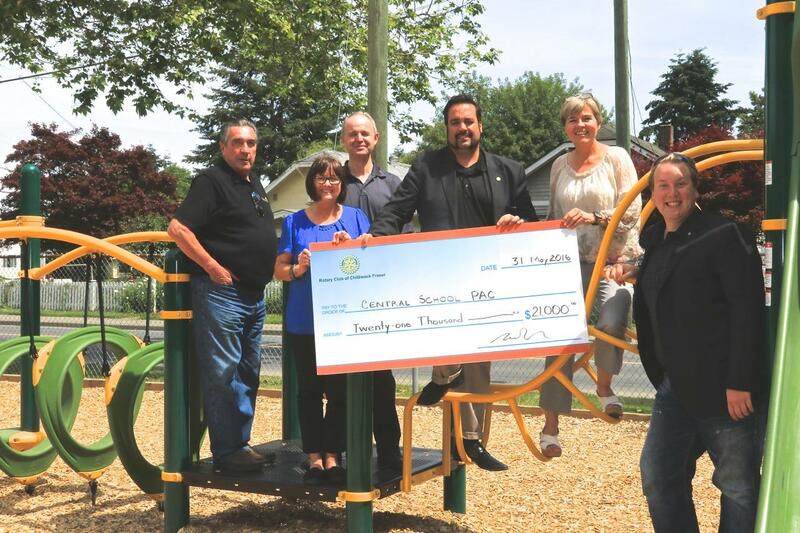 Club Members present a cheque for $21,000 to Central School PAC for a playground. 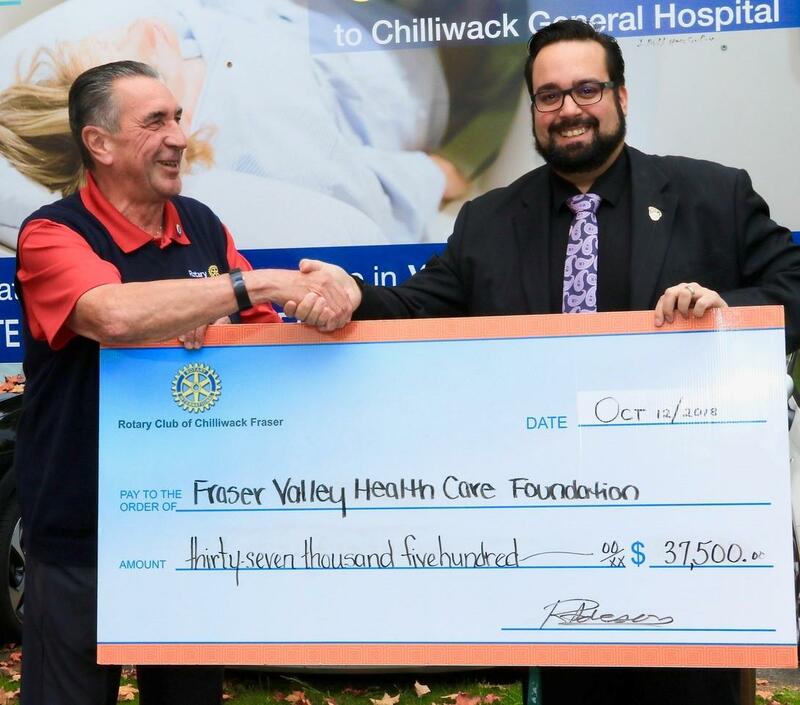 President Russ Ideson presents a cheque for $37,500 for a much needed CT Scanner, to Past President Rob Beischer who also represents Fraser Valley Health Care Foundation. 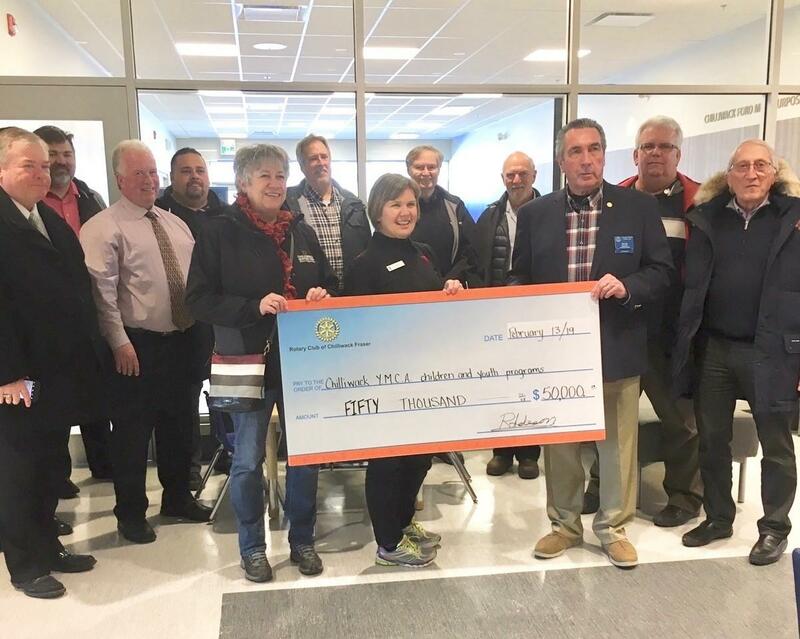 In December 2018 Rotarian Hank Pilotte (l) and MLA John Martin (r) presented a cheque for $500 to the SPCA for winning Best Float in the Rotary Christmas Parade. 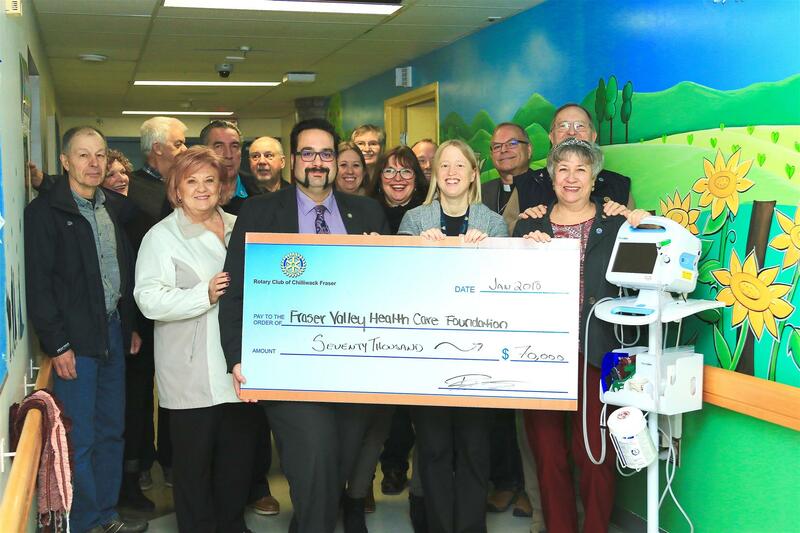 Club Members present another cheque - this time for $70,000 to Liz Harris of the Fraser Valley Health Care Foundation for equipment for the Pediatric Observation Unit - and to finish the gorgeous murals. 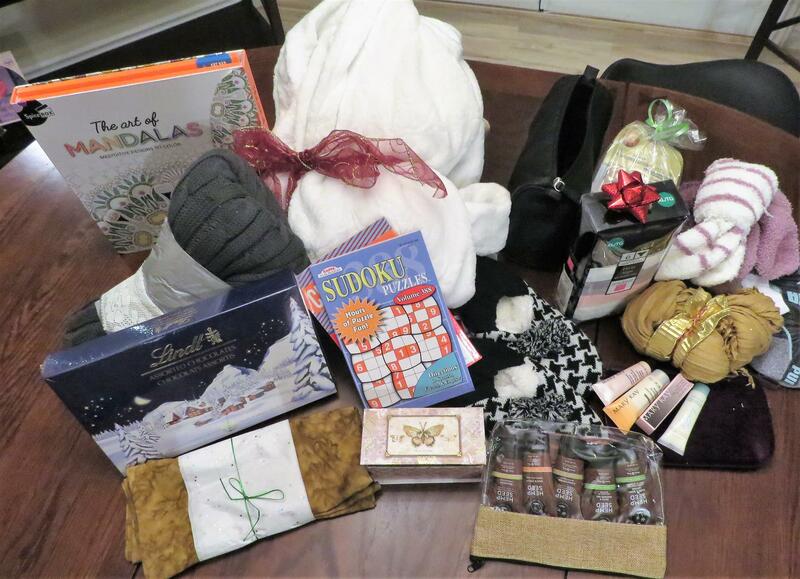 bags for the 8 bed Elizabeth Fry Women's Rehab Facility. 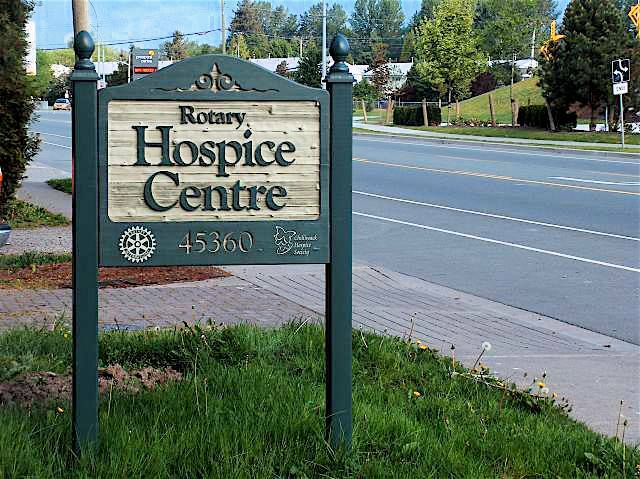 From 2004-2006, our club raised $50,000 and contributed countless volunteer hours to renovating the Rotary Hospice Centre, the home of many programs and services of Chilliwack Hospice Society. 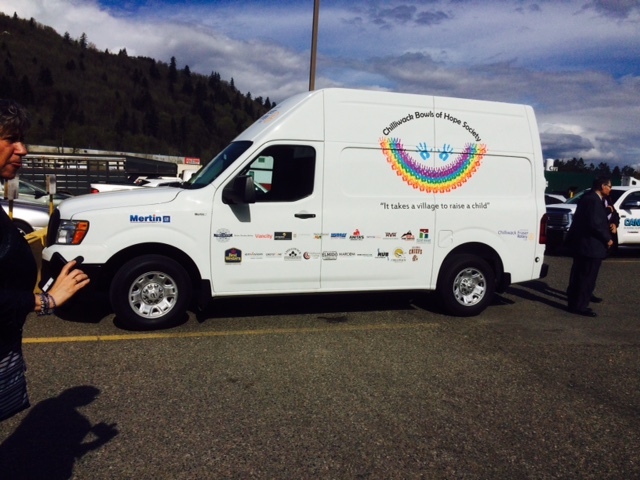 Chilliwack Bowls of Hope Society received a gift from our club in 2015, a new van for the delivery of meals to children less fortunate in our community. 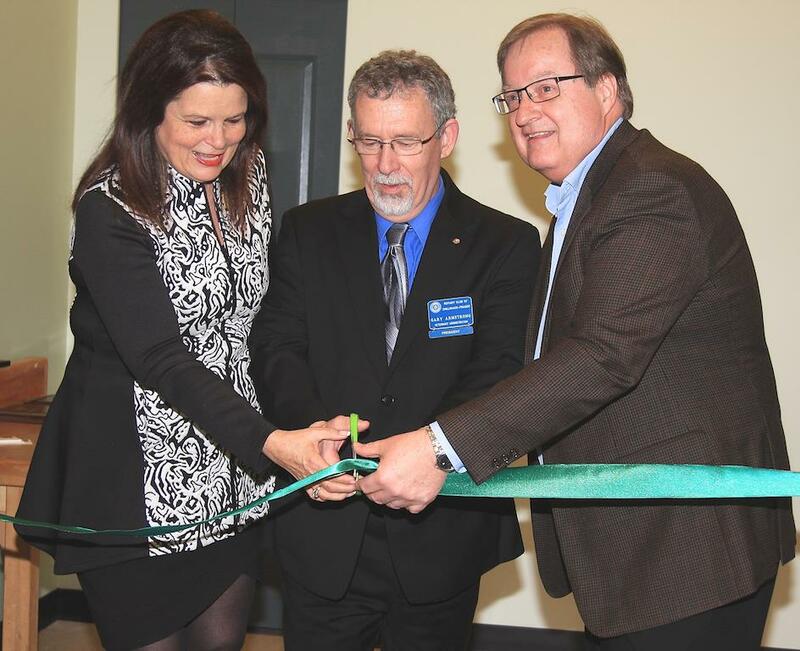 The Chilliwack Progress has the story here. 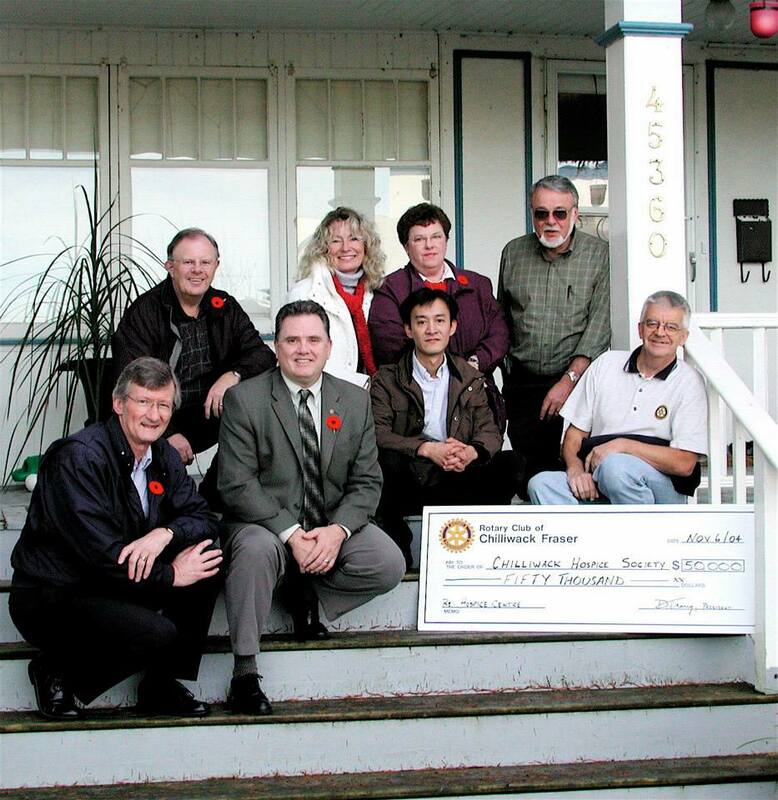 In 2004, our club built a Rotary Garden Pavilion located at Gwynne Vaughan Park on Fairfield Island. Visit www.gwynnevaughanpark.ca for more info.  Runway for Rotary is a tri-club annual event that celebrates local fashion, along with local food and drink, for one fabulous evening in support of Rotary community projects. 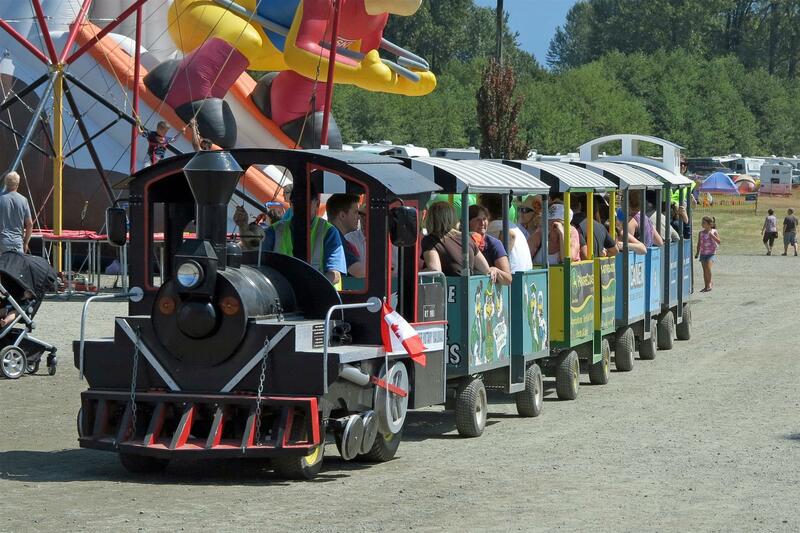 Our Rotary Train is a popular family-friendly ride at numerous community events, including The Chilliwack Fair, Canada Day Celebrations, and Gwynne Vaughan Park Plant Sale. The loonies and toonies collected for each ride help fund our community service projects. 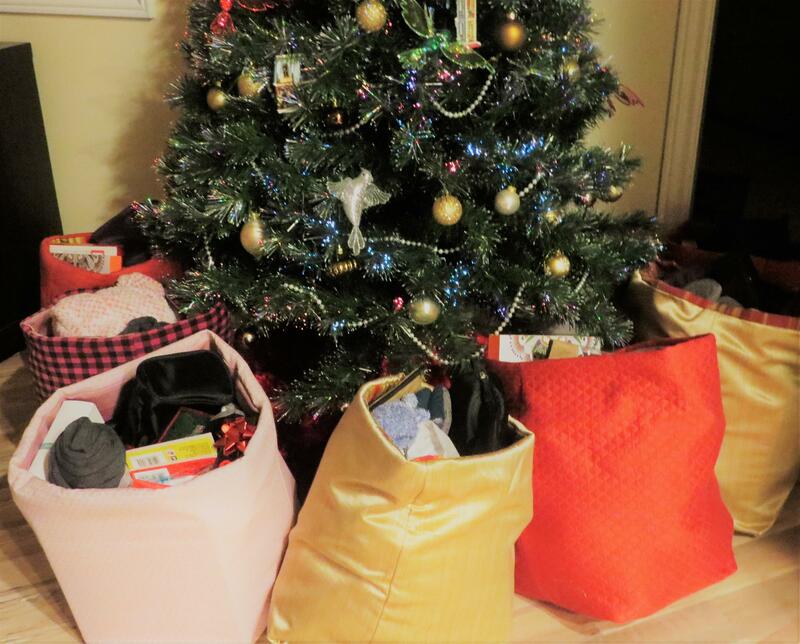 In 2015, our club offered $73,000 to help fund the expansion of an emergency shelter at Ruth & Naomi's Mission in downtown Chilliwack. 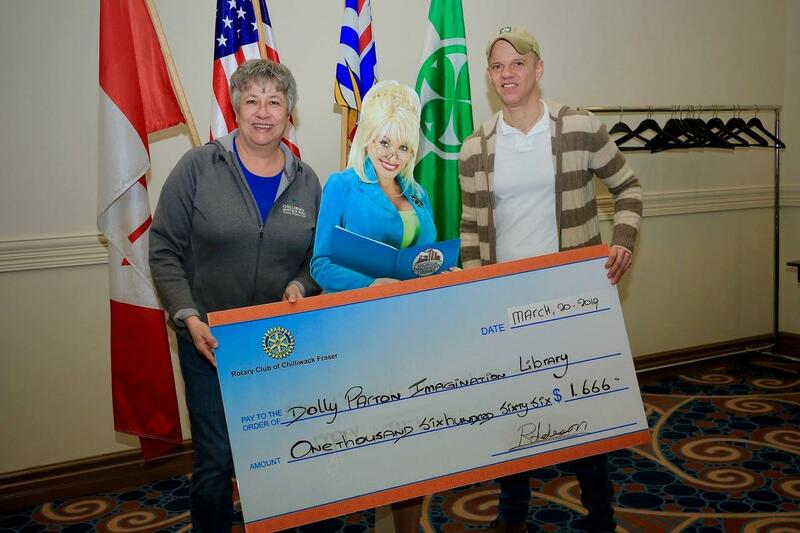 To learn more, The Chilliwack Progress has the story here. 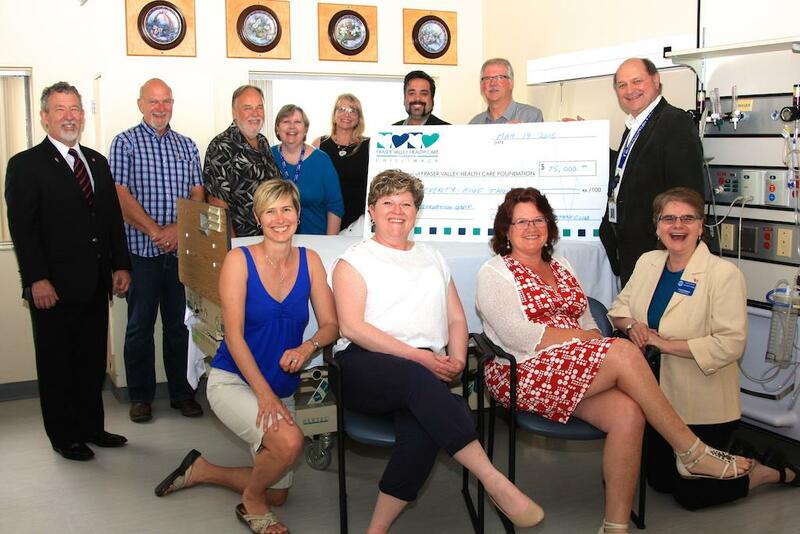 In 2012, our club committed to funding $75,000 in equipment and materials for the health science facilities at the University of the Fraser Valley. 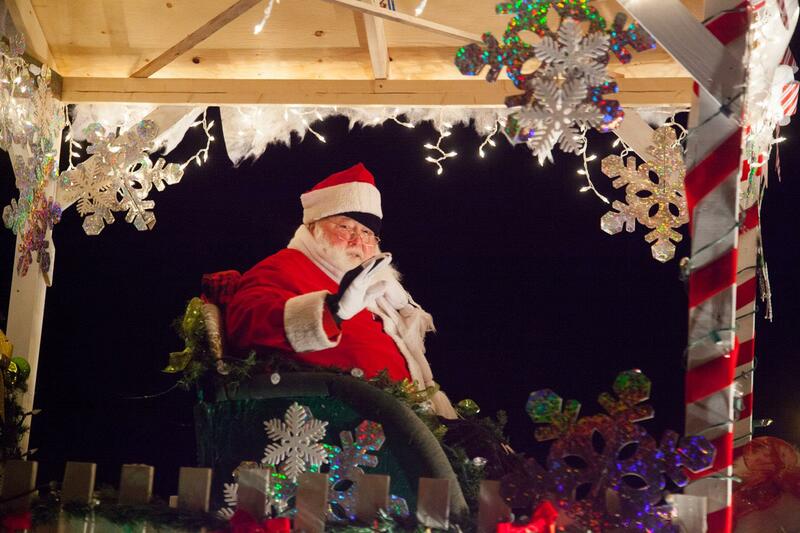 The Chilliwack Times has the story here. 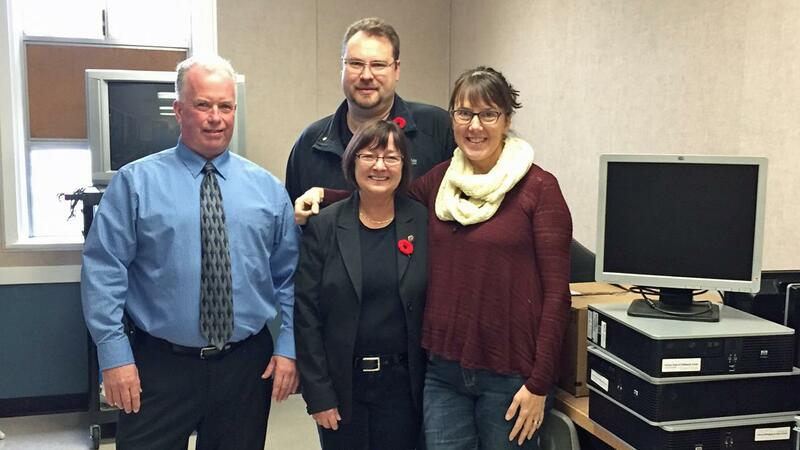 In 2016, our club donated ten refurbished computers with keyboards, monitors and updated software, to Chilliwack Community Services Family Literacy program and Gateway for Families computer lab at Chilliwack Central Elementary Community School. 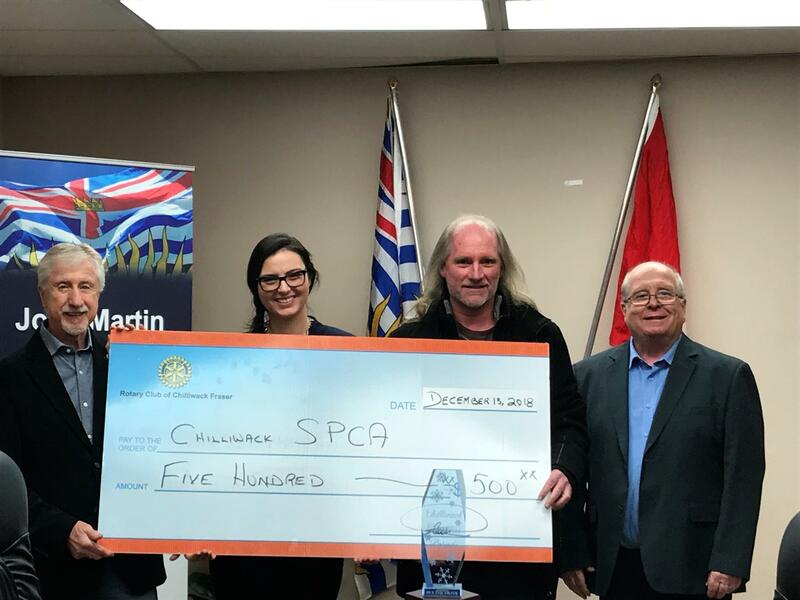 The Chilliwack Progress has the story here.